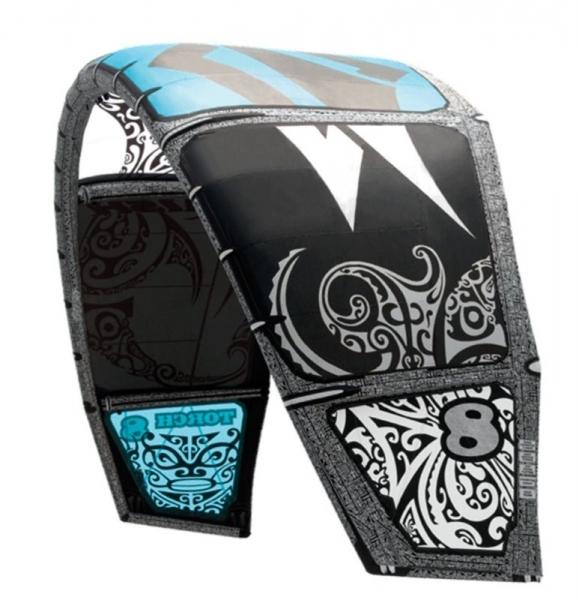 Target: Designed for competition freestyle, power freeriding and unhooked waveriding. The Torch flies quickly through the air and will depower easily with a quick check of the board edge. The power is delivered smoothly, with depower similar to a bridled kite by virtue of the kite's ability to fly fast. Hooked in or unhooked, the riding is effortless and precise. 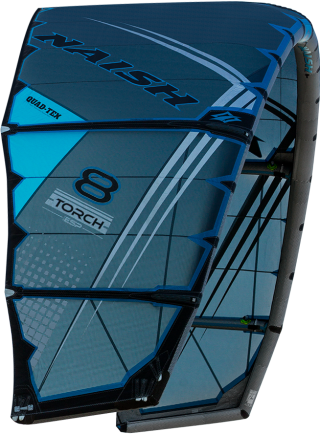 The position of the struts makes the kite stiffer in the air, for an even more precise handling. The new Shift Control System is set up to support the arc and to provide easy water relaunch and excellent feel. New elements for 2012 are: a new covered single-line depower, above-the-bar trim adjustment and a new, comfortable color-coded EVA grip. The Torch is equally at home winning heats on the world stage, as it is ripping up your home beach. 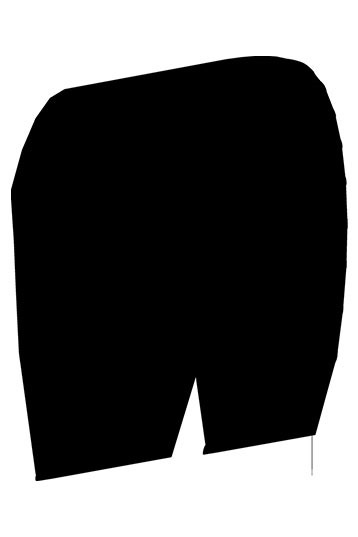 The 2012 Torch features refinements to all elements of the package: new bar, reinforcements, strut positions and a shorter arc. What's New: This year the idea was to make the kite more stable and to add stiffness to the arc. To do this, we looked to the success of the Park and shortened the entire arc and moved both side struts down. This allows the center of the kite to be more full. The lower strut allows for a stiffer profile on the wing tip, making the kite more rigid in the air. The Result: You get a kite that has a crisper feel in the bar and is more responsive to bar input. This makes overpowered riding smoother. The turns are also better, as the kite shoots back up faster in the kite loop, providing extra pull to land without making a hole in the ocean. If you're oldschool, you need this kite! I started in 2000 so I'm used to C shape kites. 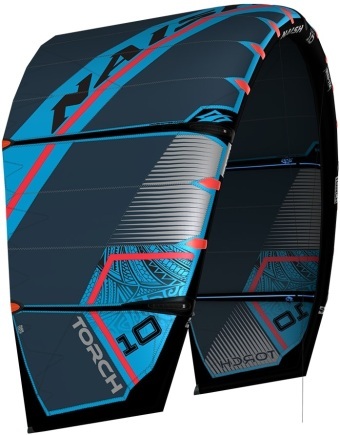 This latest Torch model is in my opinion the best C kite in the business so far. 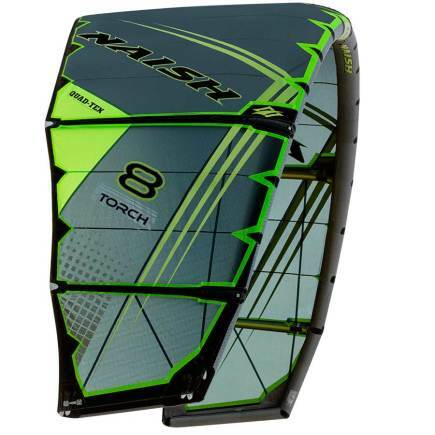 This is a review for the new 2012 Naish Torch 12m. 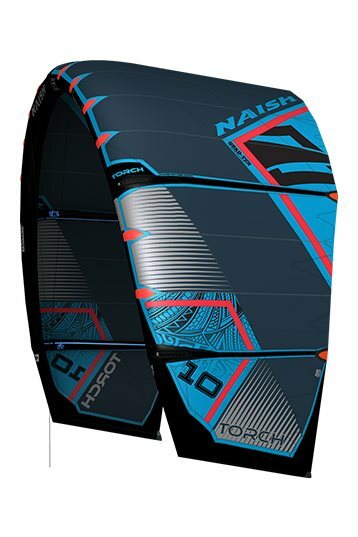 I own a Naish Torch 12, 2010 and have been ridding this kite for over a year – so I will compare my impressions with the 2010 model. Picked up the new kite today and had a 1.5h session at Woodypoint. Wind was up and down ranging from 10-20kn. Probably the biggest change on the kite –depower is above the bar! I always liked the Naish below the bar depower but I must say for the Torch the above the bar depower is great. Main advantage is that the trow is always the same. Since the trow is short on the Torch there is no need for a stoper ball and the bar spins freely and within easy reach. Leash is also new and looks good. I have the feeling that the tips are shorter and the struts are a bit fatter (did not have the 2010 Torch next to it). Overall the kite feels very similar to the 2010. I was ridding the kite in the factory setting so there is lots to try… In this setting (A, D): The kite seems to have less bar pressure than the 2010 – I wouldn't have minded to have the bar pressure of the 2010 (that said I ride the 2010 in a different setting( B, D)). 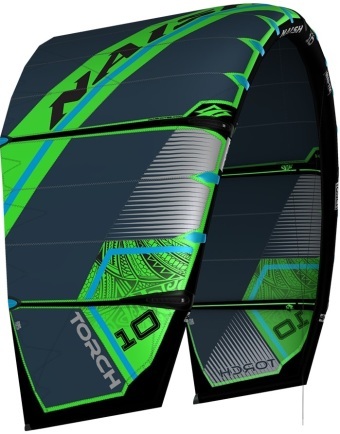 I had the feeling that the new Torch flies quicker than the 2010 and the fist 1/3 of the kite (from leading edge) feels a lot stiffer. I found that the power of the kite is about the same as the 2010. It's hard to tell without flying them back to back but I think the 2012 has less static grunt but flies quicker (which creates grunt). I think due to the “faster” foil the kite also seems to go upwind a bit better. Hooked-in the kite is very responsive (definitely turns quicker than the 2010). Unhooked the 2012 feels very nice, very defined and stable (not much different than the 2010). I noticed that the kite seems to drift back a bit quicker! This is nice. The 2010 kite did not recover quick enough in the unhooked loop, after the landings I have to wait for the kite. 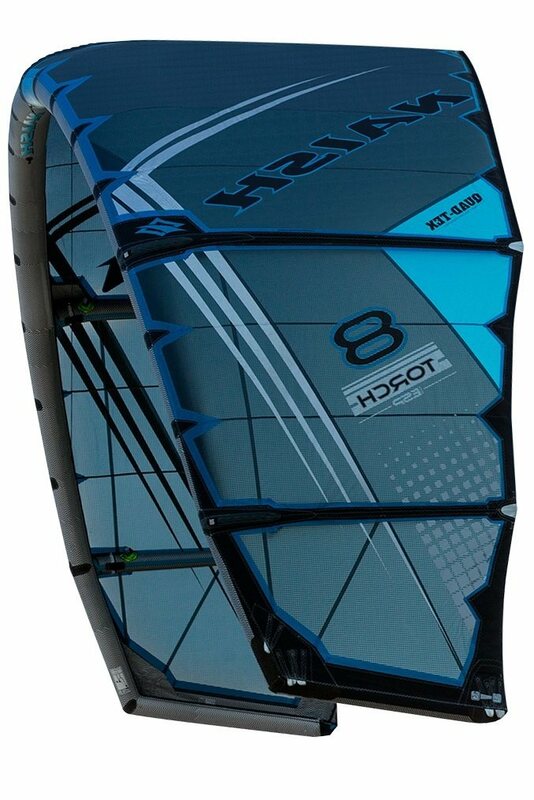 I didn't push hard, it was the first time I flew the new kie and we also didn't have much wind lately –so it will be interesting to see how it stacks up in the long run.